UNRELIABILITY, AND EXUSES ARE WORDS THAT GO HAND IN HAND WITH THE POOL INDUSTRY IN OUR AREA. WOULD LOVE TO BE THE ONES WATCHING OVER YOUR POOL FOR YOU. NEED A REPAIR? CALL US. WE’LL BE THERE. HAVING A PROBLEM WITH YOUR CURRENT POOL COMPANY? CALL US. WE’LL BE THERE. 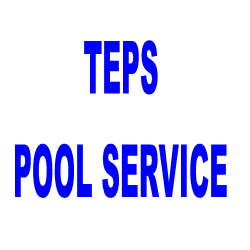 SINCE 1989, WE HAVE NEVER MISSED SERVICING ONE OF OUR POOLS ON A WEEKLY BASIS!! IF A MAN GOES DOWN, ONE OF OUR OTHER MEN WILL COVER. IF A MACHINE BREAKS DOWN, WE HAVE A SPARE. DELIGHT US. YOU CAN ALWAYS COUNT ON US TO KEEP THE GREEN OUT OF THE POOL …..AND IN YOUR POCKET. WE ARE THE FAITHFUL GUARDIANS AND WE WANT TO BE THE ONES WATCHING OVER YOUR POOL.